The Suffolk First Team lost this morning to a strong Norfolk side by 6 points to 10. But in the afternoon they bounced back, narrowly defeating Bedfordshire 8½ - 7½. No Suffolk player won both their games, but three players scored 1½ points - Tim Lunn, Leon Burnett and Somton Ukken. Both Suffolk and Cambridgeshire have now played two matches, with the other three counties - Norfolk, Beds and Herts each having played four matches. The league table is therefore a bit distorted, although Cambridgeshire are the only county to have won all (both) their matches. With most of the first half of the season completed, it's time to see who are leading the Player of the Season statistics. In Division 1, Steve Gregory (Ipswich) has scored 4½/5, with the two juniors Adam Taylor (Manningtree) and Silas Peck (Ipswich) both on 3½/4. In Division 2, Rob Sanders (Sudbury) leads with 4½/5, followed by Malcolm Lightfoot (Saxmundham) on 3½/4 and Ed Kirkham (Adastral Park) on 4/5. In Division 3, Phil Hopkins (Felixstowe) has retained his 100% record with six wins. He is followed by Manningtree's Carl Phillips and Ipswich's Andrew Molloy, both on 4½/5. This weekend and next will see three Suffolk teams in action against other EACU counties. On Sunday the First Team take on Norfolk and Bedfordshire, whilst the following Sunday (7 December), the Under 160s play Cambridgeshire and Hertfordshire. On the same date the Under 100s are matched against Cambridgeshire, whom they will play twice with reversed colours. All matches take place at the Turner Hall, in Newmarket, starting at 10.00. Team captains Ian Wallis (First team) and Bob Jones (u160s) have managed to find full teams of 16 players, albeit a little weaker than usual. But Daniel Yarnton, the Under 100 captain, is still seeking three more players to complete his team. Any Suffolk players graded below 100 who would like to play should contact Daniel. (EDIT): The Under 120s (captain - Peter Collicott) are also playing Norfolk in a double-header on Sunday! Five members of the Bury Knights Junior Chess Club played last weekend at Hinckley in the Junior 4NCL league, which features some of the strongest juniors in the UK. The photo below shows four members of the team that played on Saturday: left to right: Tom Roy, Adam John, Alan John, Alex Sheerin (Board 1). On Sunday, Daniel Garcia-Leon replaced Tom Roy. Alan top-scored with 3½ points from five games, whilst Alex and Adam each scored 2½ points. Both Tom and Daniel won one game, so no one went home empty-handed. The team finished in 6th place out of 20 teams in Division 2, an excellent début in this tough event. In effect (Alex excepted) this was the Club's second team, with the likes of Emilia Jewell (130), Anita Somton (128), William Sait (126), and Patrick Gembis (90) waiting in the wings. The Club hopes to be able to field two teams in the next rounds, on 24/25 January, with one team in Division 1 and the other in Division 2. 11-year old Alan John and his 8-year old younger brother Adam continued their good form in the Suffolk League this evening, both winning their games against their Felixstowe opponents. Alan, graded 58 in July, is heading for a grade of more than 100 in January 2015. Adam only has a rapidplay grade (24) at present, but should achieve a standard-play grade in January in the region of 60 or 70. 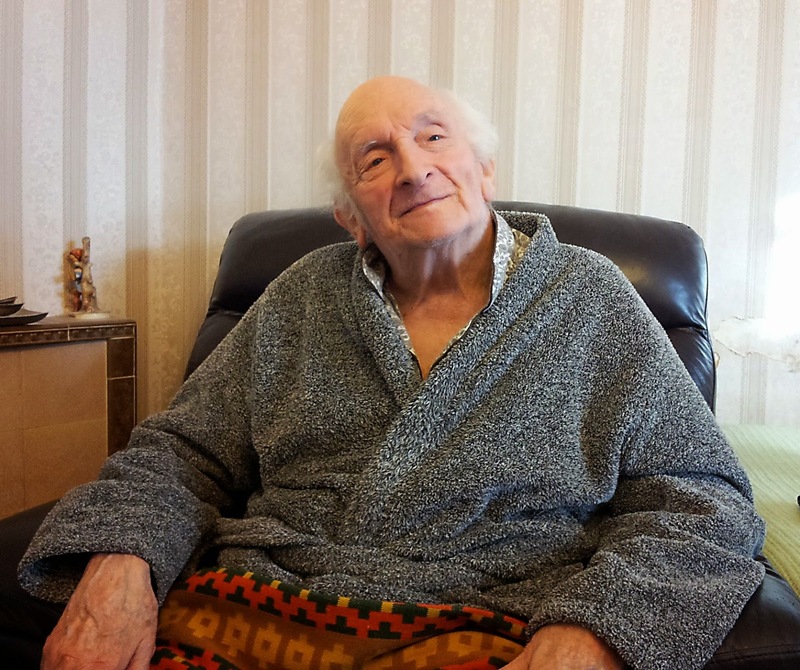 Clacton's Peter Keffler is 91 today - many happy returns! Peter received a visit recently from Michael Clapham, who went to his house to collect some books to sell at the Bury St Edmunds Congress. Michael reports that Peter was in good spirits. Although he only has limited mobility these days and his eyesight is very poor due to macular degeneration, Peter is mentally as bright as ever and still enjoys a long chat about almost anything. Up until last season Peter was playing league chess but is now unable to get to matches but is still keen to play at home with friends. There will be no more articles until Wednesday 26th as I'm away. With an average weekly attendance this term of 40, the Bury Knights Junior Chess Club continues to thrive. Lately, more attention has been paid to coaching. Last week the top group (Division 1) received an hour's coaching, whilst this evening it was the turn of Division 2. Each 'division' at the Bury Knights contains between 10 and 15 children, according to ability. Each month, members are promoted or relegated based on their performance against others in their division. In the top group, all but three players have Elo ratings in excess of 1000, with Alex Sheerin currently top on 1575. Division 2 ranges from 635 to 820, but there are some highly promising players included who are anxious to attain the heights of Division 1 as soon as possible! Coaching today was based mainly on rook endings, with the emphasis on K & R v K. Some pawns were then introduced, with the classic Lucena and Philidor positions demonstrated. A team from the Bury Knights will be playing this weekend in the Junior 4NCL, in Hinckley. All four players (Alex Sheerin, Alan and Adam John, and Tom Roy) performed well at the recent Bury St Edmunds Congress, so should do well against the other teams in their division. Rob Sanders has made the draw for the first round proper of the new Cup & Plate competition. Competitions Secretary David Green has said that the two fixtures that involve the same club can be organised on a convenient date (before the end of February) to suit their club. The Bury E v Bury D match in the Plate will therefore take place on Thursday 29 January. David will sort out the remaining fixture dates, in consultation with the clubs concerned. Aided by tea/coffee and an unlimited supply of Doritos, a small group of chess players (a sub-committee of the Bury Area Chess League) met this evening to discuss the future of the Bury St Edmunds Congress. After lengthy discussion of the various tasks involved in organising the weekend event, several distinct job roles were agreed. Norfolk's John Wickham will be the Tournament Director, responsible for running the congress over the weekend (24/25 October 2015). He will also co-ordinate, from afar, other people who have differing responsibilities. Steve Lovell will be the Congress Secretary, responsible for distributing the entry forms, receiving and recording entries, and preparing the wall charts. Paul Kemp will be the Congress Treasurer, and will prepare the budget and set the prize fund. Entries via PayPal will continue to be encouraged and Tim Davison will ensure the website is updated. 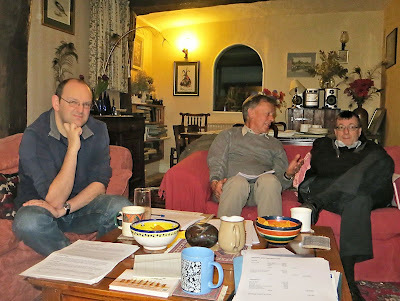 The photo above shows (left to right) Steve Lovell, Paul Kemp and John Wickham during the meeting. Roles that still need to be filled include a Sponsorship Manager, responsible for securing some £1,000 of financial support. Also needed is an Equipment Officer, who will ensure that sufficient sets, boards, clocks, scoresheets, result slips, wall charts, pens etc are available. He will also co-ordinate a team of local players who will need to set up the Apex venue on the Saturday morning. Any volunteers for these two roles? The new Cup and Plate competition has nearly finished its preliminary stages. One preliminary round match, Stowmarket A v Ipswich D, was played this evening, but the result is not yet known. The winners will play in the Cup and the losers in the Plate. Rob Sanders, as the originator of this competition, will undertake the draw for the first round shortly and will be published here. In addition, Suffolk-born twins Nick and Richard Pert are 7th and 26th respectively (2564 / 2443). And the other pair of identical twins, Tom and Adam Eckersley-Waites (94th and 95th) were members of the Bury Knights Junior Chess Club for a couple of years between 1994 and 1996. Justin Tan (2361) is of course Australian, so doesn't feature in the English list. If he did, he would be in 50th place. Adam Hunt's 'replacement' at Woodbridge School a couple of years ago, Stephen Gordon, is 13th at 2497. So that's a total of ten players with close links to Suffolk. This weekend 24 Suffolk-based players travelled to Daventry and Hinckley to take part in the first two rounds of the 4NCL. Five teams - Anglian Avengers 1, 2 and 3, and Iceni 1 and 2 - experienced mixed results, but there were some excellent individual performances. Justin's loss was against GM David Howell, current joint British Champion. The three Anglian Avengers teams won their Saturday matches but all lost on Sunday! In Round 2, both John Peters' and Bob Jones' games lasted nearly six hours and were amongst the last to finish. John's draw on top board against Fide Master Paul Byway was particularly noteworthy. Iceni 1, having won both matches, lie in 5th place in Division 3 (out of 44 teams). 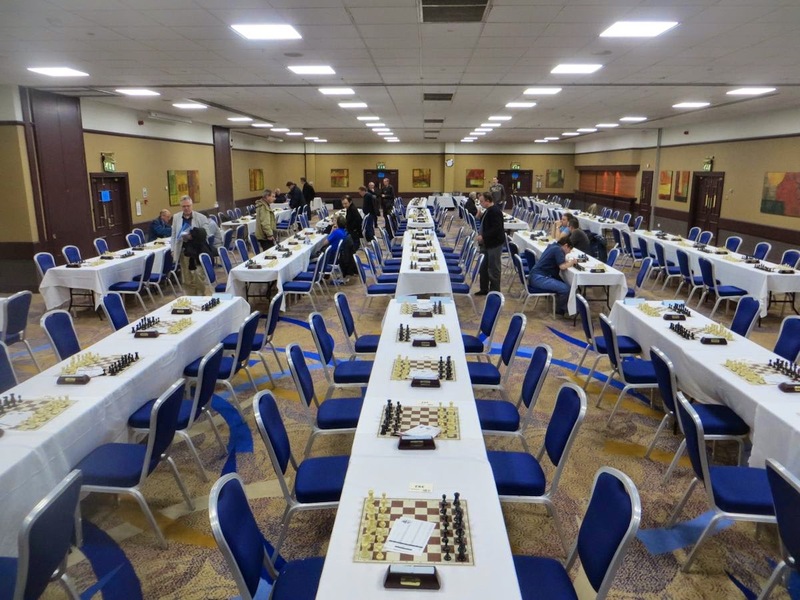 The first two rounds of matches take place this weekend, with many Suffolk players travelling to Hinckley and Daventry to pit their wits against some of the best chess players in the country. Iceni (captain John Feavyour) will be fielding two teams in Division 3 (at Daventry), whilst Anglian Avengers (captain Ian Wallis) have three teams - one in Division 2 (at Hinckley) and two in Division 3. Those five teams total 30 players, though not all team members are from Suffolk. The results will be published here tomorrow evening. Continuing our occasional series of puzzles, here's one that defeated members of the Bury Knights Junior Chess Club at their weekly meeting this evening. There's a black bishop hiding behind the box on d8, by the way. The full position is shown below. It's Black to play and force checkmate. Two players have a 100% record - John Feavyour (Saxmundham A) and Melvin Steele (Clacton). Suffolk's eight-board correspondence team (we play by email these days - cheaper than stamps) is playing in Division 2 of the County Championships. There are ten teams in the division, which means that we get to play all our opponents except one - Merseyside. Each players has two games against the same opponent, one with White and one with Black. The event started on 1 November, but there have been some results already (not by our team). The cross-table and pairings can be viewed here. Adrian Thorpe's magnum opus on the history of the Bury and West Suffolk Chess Club, published in 1997, provided snippets of information for most years between 1867 and 1996. 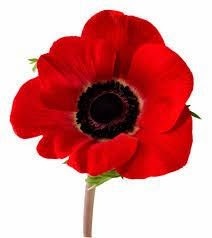 Unsurprisingly, membership declined during the war years. In 1914 membership stood at 20, but the following year had dropped to just seven. Numbers began to increase when the war was over, but the Club's 50th anniversary celebrations (in 1917) were postponed on account of the war. In 1914 the annual rent for hiring the room at the Athenaeum was three guineas (£3.15). 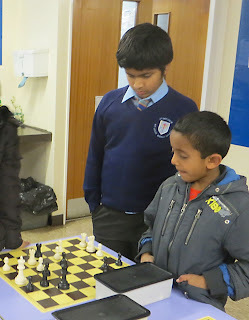 Bury Knights Junior Chess Club now has its own Facebook page. It's only five days old, but has already received 35 'likes'. Other than Felixstowe and Bury St Edmunds, are there any other Suffolk chess clubs with a presence on Facebook? Yesterday (8 November) was Alan Merry's 18th birthday. Alan joined the Bury Knights Junior Chess Club shortly before his 8th birthday. By May 2005, he was the club's second-highest rated member, at 1200. 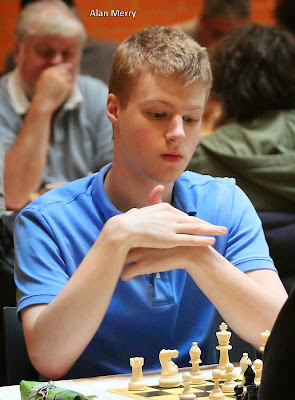 Now, at 2348, he is on the verge of becoming an International Master (just needs another 52 rating points) and already possesses a Grandmaster norm. He remains a 'Junior' for the rest of the English chess season, but for FIDE purposes, his junior status ceases at the end of this calendar year. In Sochi today, Magnus Carlsen took a giant step towards retaining his World Champion title, with a convincing win over Vishy Anand. In typical Carlsen fashion, he conjured up an attack when none seemed likely. In fact, his a4, Ra3, Rg3 combination may well be an antidote to the Berlin Defence of the Ruy Lopez. You can view the annotated game here. The World Championship match between challenger Vishy Anand and current World Champion Magnus Carlsen got underway this afternoon. Anand had the white pieces and the result was a reasonably interesting draw after 48 moves. Although the game never swayed decisively either way, at the end Anand was forced to bale out with a perpetual. You can play through this game, as well as watching future games live, on chess24.com, although that site seems very slow to load up at times. Perhaps a better bet is ChessBomb. Both sites show the current Stockfish evaluations. The next game starts at midday (GMT) Sunday. 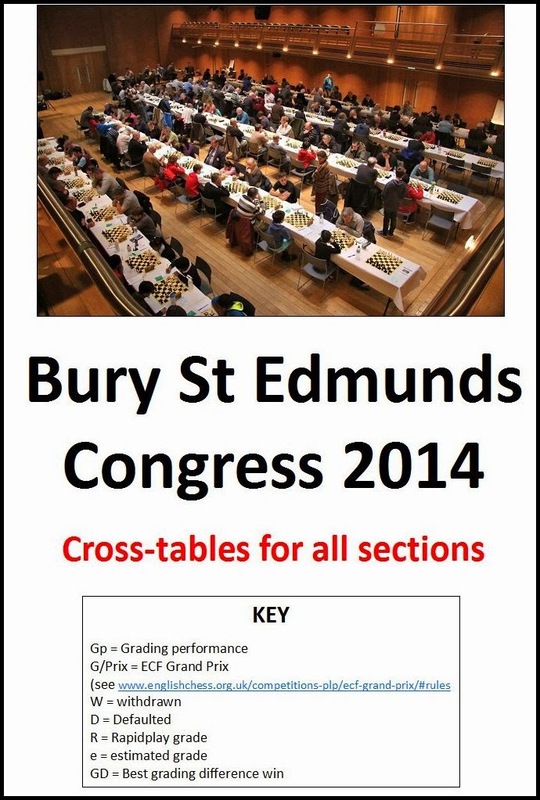 The Bury Knights Junior Chess Club will be fielding a team in the Junior 4NCL at Hinckley, on 22/23 November. This will be the first time that a junior team from Suffolk has played in this competition. The event is held over five rounds, with three games on Saturday and two on Sunday. All games are submitted for ECF grading. The Bury squad includes regular league players Alex Sheerin, Anita Somton and Emilia Jewell, as well as up-and-coming youngsters, brothers Alan and Adam John. For each round, a team of four is required. The team manager is Boby Sebastian, father of Alan and Adam and the current Chairman of the Club. The squad was unable to play in the first round of matches in October, but expects to be able to field a team in the third round in January. With six matches to be played by each team before Christmas, it's going to be a hectic period for the likes of Manningtree and the others who have only played three matches. The best individual performance so far is by Steve Gregory, who has won all three games. At the other end of the individual table, Ed Player has surprisingly lost all five games! The popular Woodbridge Junior Open tournament takes place at Woodbridge School on Sunday 23 November. 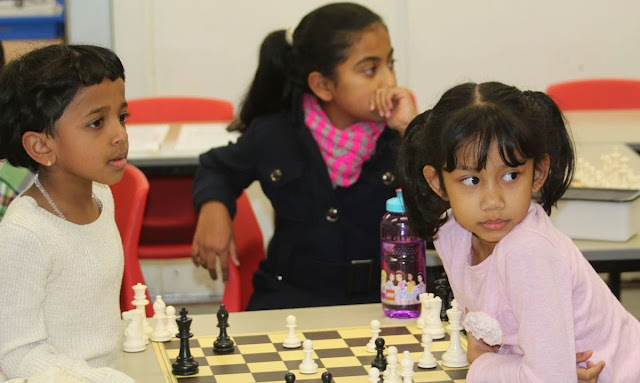 This is their 14th tournament, which started back in 2001. International Master Adam Hunt has taught chess at the school for the past ten years. The tournament features sections for six different age-groups: Under 8, Under 10, Under 12, Under 14, Under 16 and Under 18. 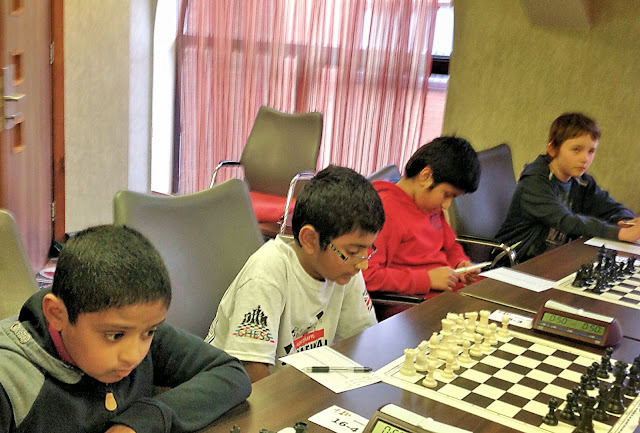 There is also an Open section for stronger juniors, which adults can enter, as well as a free-to-enter section specifically for parents of children who are playing. The event is a qualifying tournament for the prestigious London Junior Chess Championships, which take place in December. Scores of 4/6 at Woodbridge are required to qualify for the Under 8 Final in London, and 4½/6 for the Under 10 and Under 12 Major Finals (or 3½/6 for the Minor Finals). No qualifying score is required for the u14, u16 and u18 sections. Age-group qualification relates to age as at 31 August 2014. Entry fees range from £10.00 (Under 8), to £15.00 (Open). 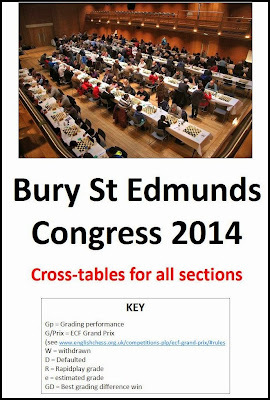 If you played in this year's Bury St Edmunds Congress, you may be interested in a 12-page booklet, featuring cross-tables for each section, as well as several photos and a list of prize-winners. Copies have already been sent to all entrants who are on email, but anyone can purchase a printed copy (A4 size on A3 paper) for £2.00 including postage. Use the Congress website to pay. As from January 2015 there will be a number of changes to the calculation of ECF grades. A. The harmful effect of incorrectly reported dates. These occur chiefly, but not exclusively, in club championships where very often a single arbitrary date is assigned to every game in the competition. This places undue weight on the precise dates of games played around the 30-game cut-off point. The order in which two games were played can make a difference of 3 points or more to the player’s grade two years later. B. The need to indicate the strength of players as early as possible, noting that a grade for ungraded players is already visible by referring to the games listed in their opponent’s database record. 1. At present, category A grades are calculated by averaging the grading points from the most recent 30 games. Starting in January the averaging will be over all games in the previous two grading periods. This change will mean that category X will become redundant. 2. At present, grades in categories lower than A are calculated over the most recent 30 games, assuming that the player has played more than 30 games in the last three years. In January the calculation method will revert to the system used until January 2011. There will no longer be a cut-off point part-way through a grading period. Instead, the system will take as many games from each prior period as it needs in order to make 30 games, but they will use grading points for the average per game for the earliest period used. 3. There will be a new grade category F, requiring only five games in the last 36 months (including at least one in the most recent period). Category F grades will be published like any other grade, but they will not be used in future calculations. A further benefit of (1) and (2) is that they are expected to reduce 'stretch' in the system. Testing suggests that they are neither inflationary nor deflationary. Change (3) will increase the number of players with published grades (currently less than 12,000) to an estimated 13,600 or more. However, some concern has been expressed by congress organisers that a grade calculated from just five games may create a highly inaccurate representation of the player's ability. This can be reflected in graded sections and grading prizes. 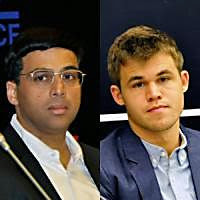 The World Championship match between World Champion Magnus Carlsen and Challenger Vishy Anand takes place in Sochi, Russia from 7 to 28 November. The official website can be accessed here. Photos of the event will be posted here.